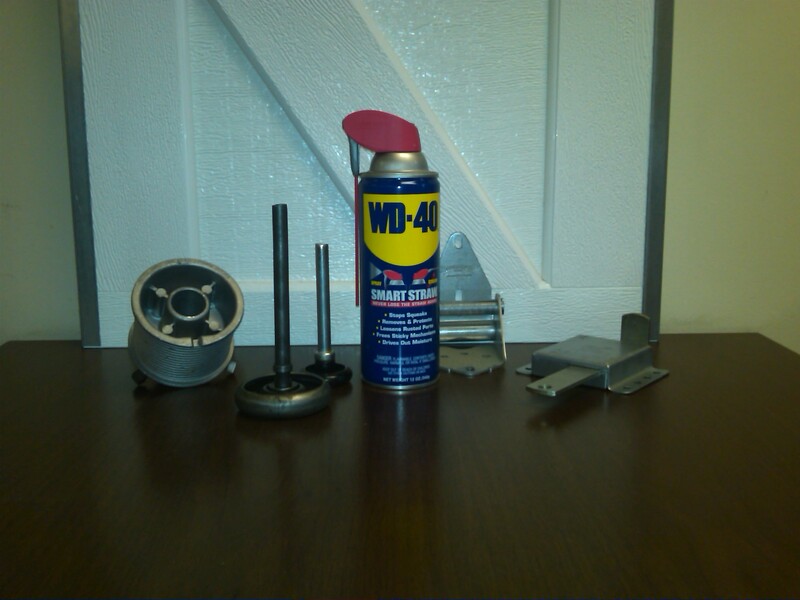 The best maintenance product for a garage door will always be a reliable can of WD-40. Have you you ever wondered what the main active ingrediant is? Fish oil! The product was developed by some missile scientist to prevent rust and used as a degreaser to protect missile parts back in 1953. The WD stands for "water displacement" and the stuff we use today was the fortieth formulation. Ken East was one of the original founders and proclaims that nothing in the product is harmful to humans and the list of other household uses are amazing. These are some of the claims that have been made, but try it on your garage door springs and hardware for quiet and smooth operation. It is also great for removing grease and grime build up in unwanted areas on your door. We recommend lubricating the door in the half open position so that the moving parts will rotate at least one cycle with the fresh lube on the parts. If an annoying squeak doesn't go away immediately, run the door a few cycles before adding more lubricant. Just a little goes a long way in keeping your door running well between check ups from the professionals at Overhead Door Company of Greensboro. From the smallest to the largest garage door a mechanical failure can create not only a costly repair but can result in serious injury or damage to ones property.Periodic service to your garage door system will not only keep things running smooth but may save you money in the long run. All garage doors should be annually inspected and lubricated by the homeowner to insure a proper operating door and improve the life span of your door opener. Always follow the homeowners manual when operating your garage door and refer to the specific manufacturers written instruction when lubricating your garage door. These items should only be replaced by a professional garage door service technician and when done properly will add years of service to your garage door system. 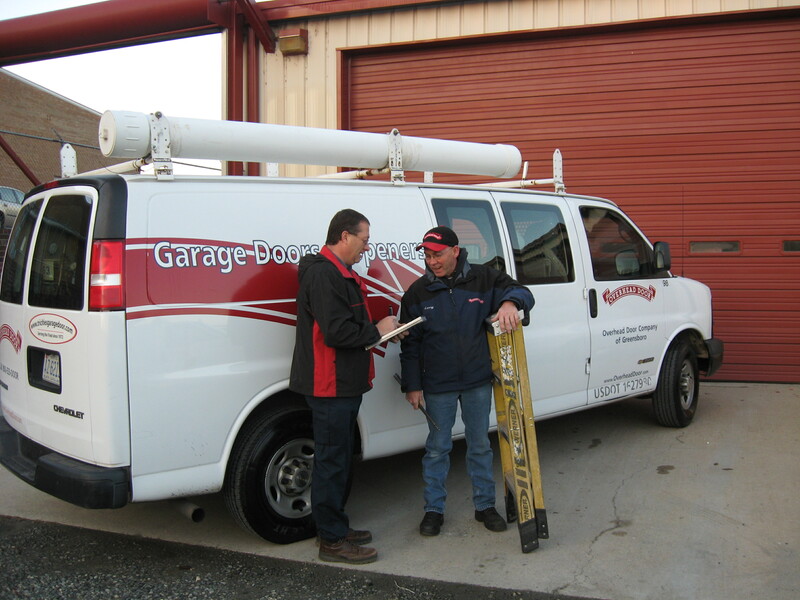 Checking for proper spring balance and a thorough test of your garage door opener safety system are always included when Overhead Door Company of Greensboro is called to service a residential garage door. You can find a copy of our home owner manuals on our website under Resourses or you can stop by our showroom for a free copy.